We offer photo and video shooting from air in Montenegro of any complexity. We have an experienced skilled drone operator, able to solve the most ambitious tasks. The official license from the Agency of Civil Aviation of Montenegro, allows us to 100% legally and safely carry out photo and video filming from the air using a drone. We support large corporate projects, wedding video filming and also carry out individual orders. 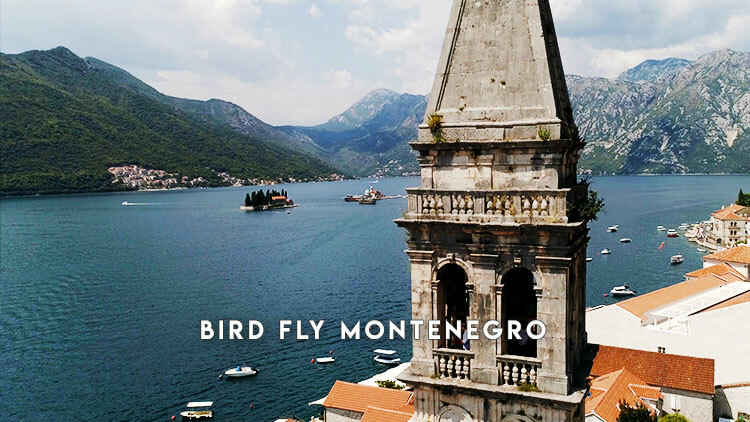 Our shots from the air will be an excellent addition to your filming in Montenegro. Editing is not included in price. The price not include transportation costs for moving the drone operator. Video materials can be used for the publication in a portfolio. The drone can only be used under favorable weather conditions. Dron shooting, it is possible only in allowed zones, and the flight is performed only within the prescribed parameters for the specific zone. The prices and conditions indicated on our website are published as reference information and are not a public offer.